I recently finished reading every 1960s Marvel and DC Comic that I could get my hands on. The Silver Age was a magical time for the Big Two, and I’ve had a blast revisiting some classic stories. If you want to see where some of your favorite characters were created or revitalized, it’s an era you should check out. Unfortunately, Marvel’s Silver Age doesn’t hold many surprises. Sure, there’s Ditko’s Spider-Man and Doctor Strange, Kirby’s Fantastic Four and Thor, and Steranko’s Nick Fury: Agent of S.H.I.E.L.D. But many fans know about those going in. As for hidden gems, there’s Marie Severin’s art on Doctor Strange and the Hulk, which I had never noticed before. And the Human Torch solo stories in Strange Adventures were adorable. The Marvel Universe just wasn’t that big yet in the ’60s. In 1965, Marvel only had eight or so superhero titles and a spattering of war and romance. Meanwhile, DC had months where it put out three dozen books. By 1969, Marvel had about twenty books every month, but DC still had over 30. Marvel might have the space to give Janet van Dyne a few (disappointing) backup stories, but Superman’s Pal, Jimmy Olsen got a whole series, full of bizarre transformations, transvestism, and evil hippies. There are just more nooks and crannies for something special to hide in over at the Distinguished Competition, and I wanted to count down my ten favorites with you. You fine folks enjoyed my countdown of the Top 13 Scariest Episodes of The Twilight Zone, so here are my picks of the best nostalgic episodes. These trips to The Twilight Zone ruminate on the allure of the past. Escaping into memories of a simpler time might lead to dreams coming true, but just as often reveal that the good ol’ days hid nightmares of their own. Nine of these episodes are available on Netflix, and all ten are available for free on Hulu. I’ll try to avoid spoilers. But when most episodes feature a twist, just knowing the tone of a story can give away the ending. I don’t want to ruin anyone’s experience, but that’s all the warning you get. 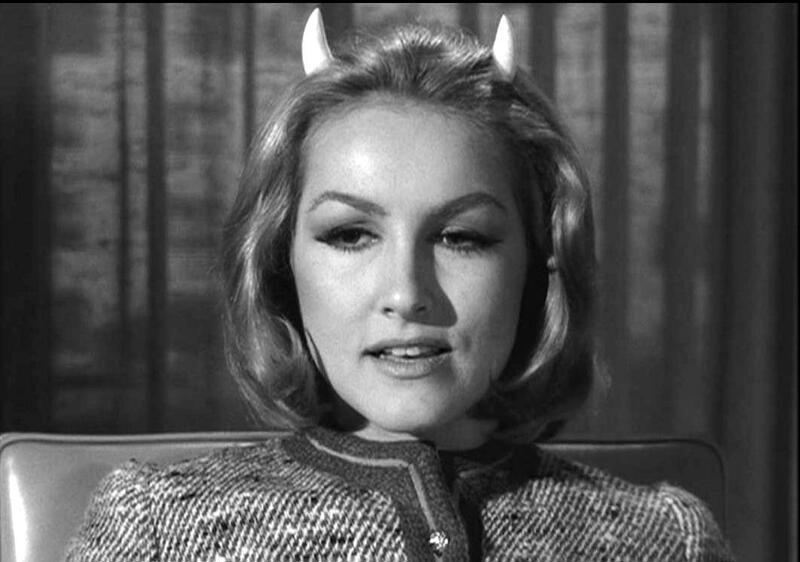 Julie Newmar, the real reason this episode made the list. William Feathersmith, an aging millionaire, decides the getting is better than the having. So he makes a deal with the demonic Miss Devlin to live his life over again. Following up on my “What I Learned About Storytelling From the Original Twilight Zone,” this is the first in a series of Twilight Zone lists I’ll be posting. I know I’m crazy, but since I’m making the lists anyway, I might as well share ’em with you fine folks. The Twilight Zone is known for its twist endings and giving generations of folks the heebie-jeebies. I hate spoilers, so I won’t be posting a list of the Top 10 Twist Endings. But these are the episodes I feel are the heebie-jeebiest. I’ll do my best not to spoil the endings for you. Sure, I’ll describe the premise and why it’s great, but I won’t reveal anything that happens after the last commercial break. Observe the fasten seat-belt signs and say goodbye to your sanity. Flight 107 lands safely, but there’s no sign of the passengers or crew. The FAA sends Mr. Sheckly to investigate. One of my greatest fears is “What if reality doesn’t line up with my perception?” It’s a theme I keep coming back to in my own writing, and this episode pulls it off. Subscribe for a free short story every month. @blueneurosis That's a feeling worth chasing. I would have sworn "ominence" was a real word. I'd have lost a bet.